10:25pm – It looks like the conversation Anto and Lolu had earlier is bearing the desired fruit as she isn’t avoiding him anymore. In fact, she seems very close, massage close. 10:07pm – Housemates are having dinner. 9:31pm – The PayPorte arena games end with Miracle winning. 9:43pm – Miracle and Tobi are in the kitchen working out. 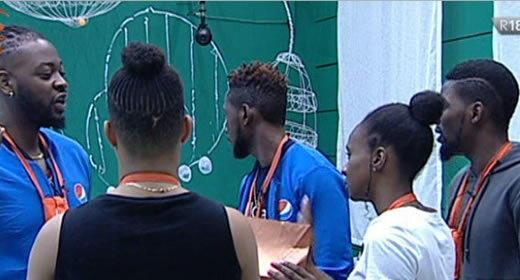 8:08pm – The housemates are in the arena for this week’s Friday night PayPorte games. 5:15pm – Land Rico Swavey are inside the closet room having a conversation. 1:58pm – Biggie brings in a life-size game for the Housemates in the garden. 1:01pm – Khloe, Rico Swavey and Teddy A are having a conversation inside the closet room. 12:48pm – Anto, Alex and a hungry Tobi are having a conversation in the house..
12:01pm – Alex and Tobi are in the garden dancing to Dj Maphorisa’s song titled ‘Soweto Baby’ in which he featured Wizkid and Dj Buckz. 11:53am – Tobi and Miracle are now in the garden working out on Very Empty stomachs. 11:39am – The ladies who has access to all the food in the house are now enjoying their delicious meal. 10:36am – Big Brother orders the housemates to close the front doors of the house and remain in the garden until further notice. 10:18am – Big Brother summons Bambam to the diary room. 10:04am – The guys are having a misunderstanding with the ladies about the rules of their latest task. 9:56am – Head of House Tobi is reads a task brief to his fellow housemates who are all gathered in the lounge. 8:24am – Housemates are having their morning workout. 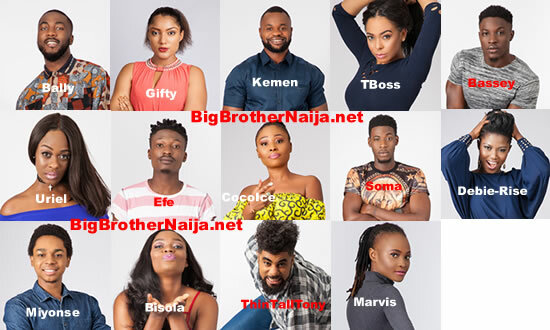 7:21am – The housemates have already started waking up now..
Good morning to you all and welcome to day 61 of Big Brother Nigeria 2018, follow today’s Live Feed Blog for all the latest updates. You can as well check out yesterday’s highlights Here.